Here is something you have to know before summer ends and keep in mind when again summer strikes in 2018. Did it ever cross your mind that during summer season with temperature exceeding 40 degrees Celsius is still possible to tone up the mind and body of workers in a construction area? 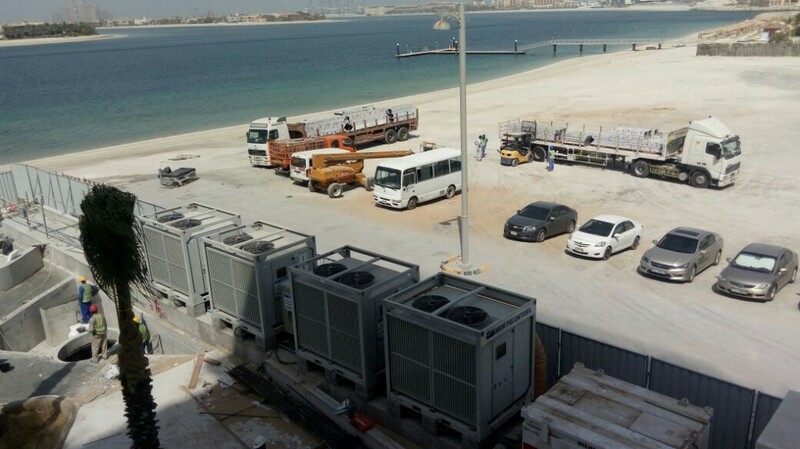 Andrews Sykes Climate Rental, UAE – “Definitely, YES.” This task is already a run-of-the-mill for our cooling team partnered with our well-equipped HPAC90. Workers are provided with the mandatory rest time, midday break, to prepare their stamina for the second shift to pull off productivity. Hence, we have positioned at least four of Andrews Sykes Climate 90kW Package Air Condition units to cool the rest area having a measurement of 2400 square meters which can accommodate 2000 workers. Due to this reliable and seamlessly installed package Air Conditioner units, the workers got pleasure from the adequate fresh air and able to maintain a healthy body and mind. Andrews Sykes Air Conditioner Rental is designed to serve any sectors such as Construction, Hospitality, Events, Oil & Gas, Marine, Aviation, Medical facilities, etc. at any where across UAE(Abu Dhabi, Dubai, Sharjah, Ajman, Ras Al Khaimah, Al Ain, Fujairah and Um Al Quwain). Alternatively, Andrews Sykes Climate Rental provides internal ducting system, industrial ventilation rental, chiller rental, dehumidification rental, heater rental, fresh air treatment, return air treatment, warehouse cooling, construction site cooling and district cooling system. 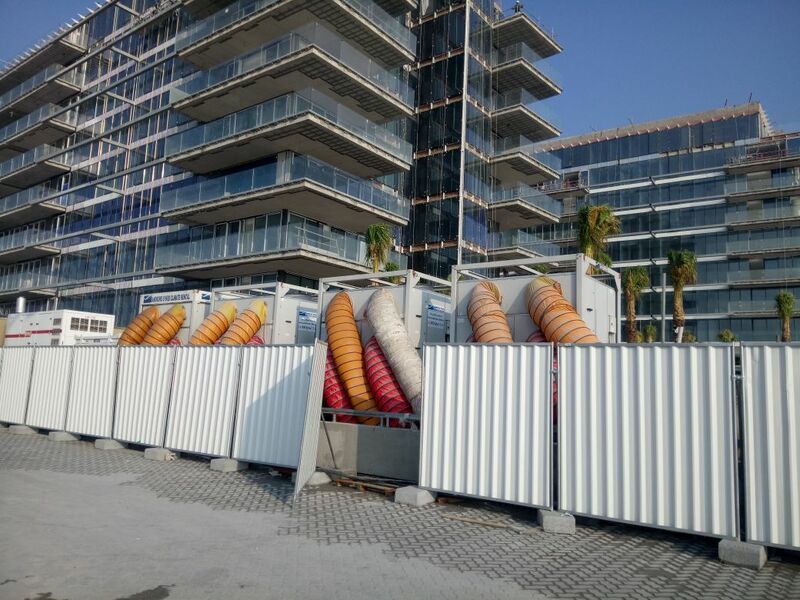 This article was posted in AC Package Unit Rental, Air Conditioner Rental, Brief, Summer AC Rental and tagged AC Rental UAE, HPAC90, Labour Camp Cooling, temporary cooling package. Both comments and trackbacks are closed.